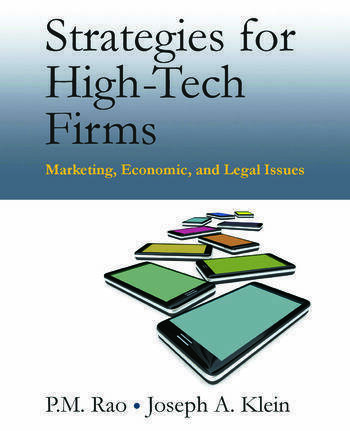 This is the first book to present marketing strategy of high-tech products and services in a legal, economic, and global context. From software to hardware, from pharmaceuticals to digital movies and TV, the authors argue that the understanding of intellectual property rights (IPRs) is essential to devising effective marketing strategies. P. M. Rao is a Professor of Marketing and International Business at the College of Management, Long Island University- Post Campus, USA. Joseph A. Klein is an attorney with a Harvard Law School degree, who specializes in information technology law, commercial contracts, and antitrust law.